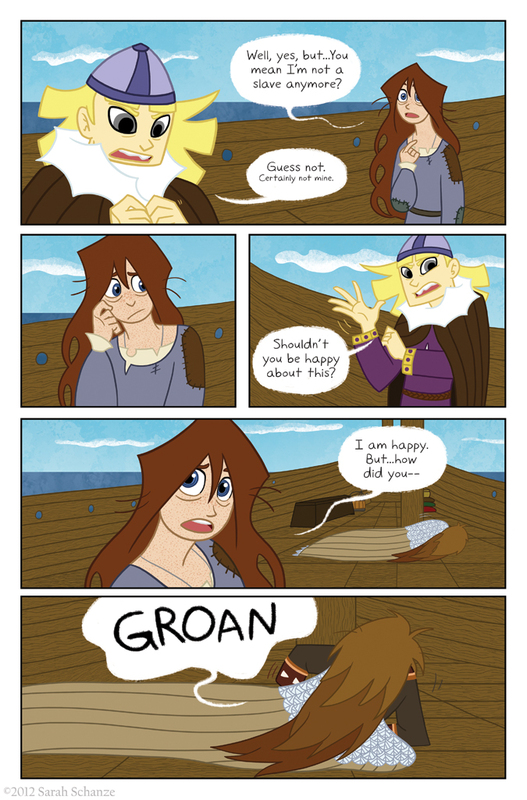 “Groan”… sleeping on a cold wooden deck is hard on a body! Especially an older body. Like Loki. Who is old. Haha, he’s like 40ish in my mind, assuming Jotnar and humans age the same (for the sake of sanity I think I’ll say they do!). Sigyn is about ten years younger than him. That’s not to say 40 is super old or anything! I would groan too after sleeping on a wood floor! I think we all would. *Perfect. * Love the small print! Haha, thank you! Coal absolves himself of all responsibility. Or tries to. Also! Did you know this comic now has a page on TVTropes?